Blog Homepage \ #dacwpulls \ #DACWPulls – Larry Bird Autographed Jersey! Thanks for an amazing box! My son was so excited when I gave it to him to open. His eyes got wide when he peeked inside and saw it was a white and green jersey. 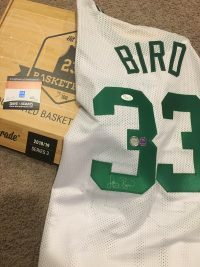 He started screaming when he saw it was the Larry Bird jersey. 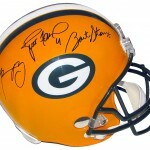 What a great memory and collectible! What a great moment for Brian and his son! 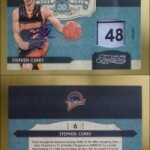 If you want to be featured in our next #DACWPulls post just send your hits to collecting@dacardworld.com or use the hashtag #DACWPulls on Facebook, Twitter or Instagram! 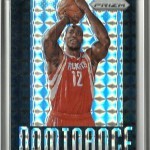 #DACWPulls – Dwight Howard Dominance Black Prizm Mosaic 1/1! 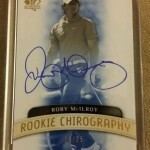 Digging for Autographed Sports Memorabilia Gold In Reno, Nevada! #DACWPulls – Big Hits from March! 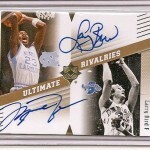 Phenomenal Pull: Michael Jordan/Larry Bird Dual Autograph!